While bookings are full at several destinations including Malshej, Bhandardhara, Matheran, Karla and other MTDC resorts, tourists are also keen on checking wildlife sanctuaries or climbing forts, MTDC officials said. Anticipating a heavy tourist rush during the monsoon, the state tourism department has issued strict advisories to each district collector to identify a list of “vulnerable” spots and take precautionary measures to avoid untoward incidents. Ashutosh Rathod, Joint Managing Director, Maharashtra Tourism Development Corporation (MTDC), told The Indian Express that state Tourism Minister Jaykumar Rawal had via video-conference instructed each district collector to step up security after identifying the vulnerable spots. While bookings are full at several destinations including Malshej, Bhandardhara, Matheran, Karla and other MTDC resorts, tourists are also keen on checking wildlife sanctuaries or climbing forts, MTDC officials said. However, with the spate of recent accidents at scenic waterfalls, tourism and forest department officials have stepped up surveillance. A M Anjankar, Deputy Conservator of Forest (Satara), said that while the flow of tourists cannot be stopped, strict measures will be in place at the Lingmala waterfalls which is a famous attraction at Mahabaleshwar. 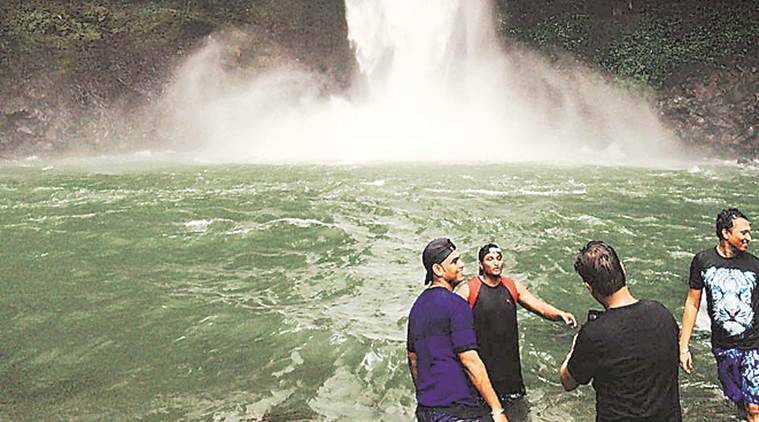 According to Rathod, there are some 25 major tourist spots with scenic waterfalls that will be monitored by stepping up the number of security guards and displaying prohibitory messages. Pune District Collector Naval Kishore Ram said that directives have come from the tourism ministry to the police, traffic police, archeological department and local administration to take precautions. “One area of concern is the weekend rush at Lonavala which not only poses a big challenge for maintaining safety but also causes major traffic issues in the area. We have to plan the management of traffic in such a manner that the influx of tourist vehicles does not bring the flow to a halt,” said Ram. He said the other concern is to avoid untoward incidents and loss of life during landslides which may happen due to heavy rainfall in hilly areas. “We will also keep an eye on roads leading to forts to maintain safety and security of visitors,” said Ram. Deepak Harne, regional manager, MTDC (Pune region), said that bookings were full for several destinations like Malshej, Bhandardhara, Matheran, Koyna dam and Karla. Apart from ensuring safeguards, the resort managers have also been instructed to advise tourists not to venture to dangerous spots or take selfies at accident-prone locations, Harne added.